Jackson Pollock, Number 14, 1951, 1951 Oil on canvas Overall: 57.7 x 106.1 inches. © 2015 The Pollock-Krasner Foundation / Artists Rights Society (ARS), New York. Jackson Pollock, Number 3, 1952. Enamel on unprimed canvas Overall: 55 7/8 x 66 1/8 inches Glenstone Foundation, Potomac, Maryland © 2015 The Pollock-Krasner Foundation / Artists Rights Society (ARS), New York. An important show designed to contextually investigate a series of artworks by Jackson Pollock known as “the black paintings” is coming to the Dallas Museum of Art. Jackson Pollock: Blind Spots will open on Nov. 20 and run through March 20 in the only venue on this side of the Atlantic (its first run took place at the Tate Liverpool in England.) The exhibition was co-organized by both institutions, the common thread being Gavin Delahunty, whose scholarly research made the show possible. 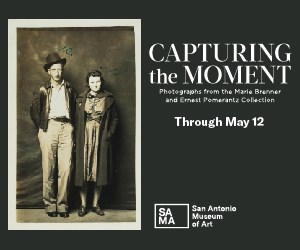 Delahunty, the Hoffman Family Senior Curator of Contemporary Art at the DMA, formerly worked at the Tate where he conceived of the idea for the exhibition over four years ago. 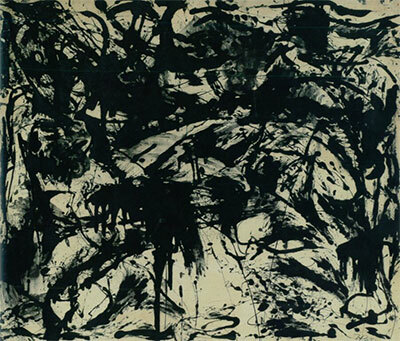 While at the Tate, Delahunty’s eye was instinctively drawn to a painting from its collection, Pollock’s Black and White #14 (1951). One day it just hit him like a seismic shock: “These paintings are so little known and seen… #14 was a masterpiece!” After arduous investigation, Delahunty was able to find out what happened to a greater portion of the black paintings, mostly executed between 1951-1953; 31 have been assembled for this exhibition, exceeding the largest grouping of 17 in 1964. Pollock is usually remembered for his “all over” drip paintings from the late 1940s, which helped define the radical break from what was then considered advanced painting. 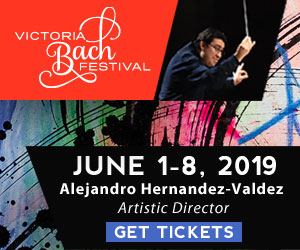 His work was part of the Abstract Expressionist movement in American painting and Pollock typifies the style of art that critic Harold Rosenberg would describe as “action painting;” while Pollock worked, he stepped around, and even onto the canvas itself, dripping paint as he went. As such, these powerful “drip paintings” tend to overshadow Pollock’s subsequent output, pushing series like the black paintings into the background. 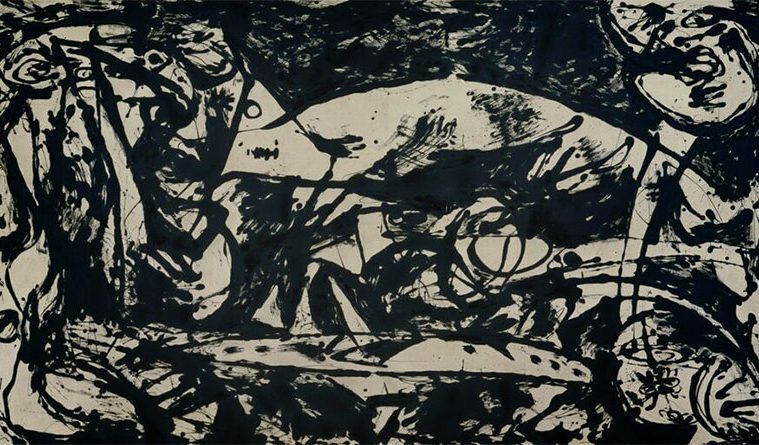 As a corrective, this show aims to pull these paintings out of the art-historical blind-spot by bringing as many as possible together and exhibiting them alongside work from earlier in Pollock’s career, giving the black paintings their due by showing how they led Pollock to turn a corner into new territory before his early and tragic death in a car accident. 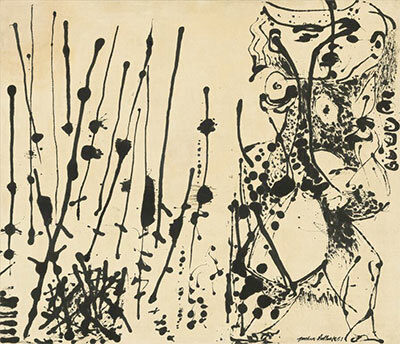 Jackson Pollock, Number 7, 1951, 1951. Enamel on canvas Overall: 56 1/2 x 66 inches The National Gallery of Art, Washington, D.C., Gift of the Collectors Committee (1983.77.1) © 2015 The Pollock-Krasner Foundation / Artists Rights Society (ARS), New York. For Delahunty, the black paintings are “a radical gesture as to the exclusive use of black” which ushered in and inspired a subsequent generation of artists like Robert Ryman and Ad Reinhardt. A radical use of color is not the only thing that sets this work apart, Pollock’s technique also made use of unprimed canvas, onto which he poured (as opposed to dripped) and soaked the paint into the surface. This achieved an even greater synthesis and fusion of the paint to the substrate, which resulted in one of the more perfect expressions to date of critic Clement Greenberg’s call to emphasize the formal materiality of paint itself. On the level of technique, Pollock’s revolution led then to the color field painters who, years later, adopted staining and pooling methods clearly evident in the work of Morris Louis and Helen Frankenthaler.